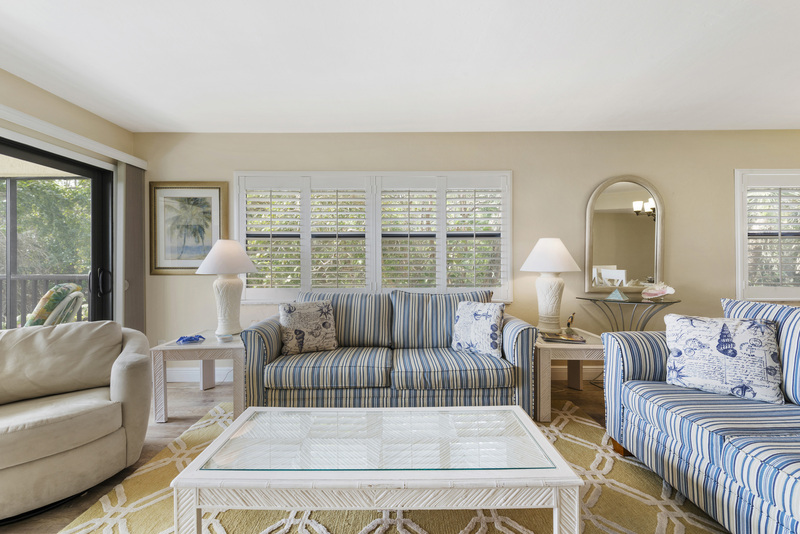 Relax in the tranquil setting of this small Gulf front complex located on prestigious West Gulf Drive. 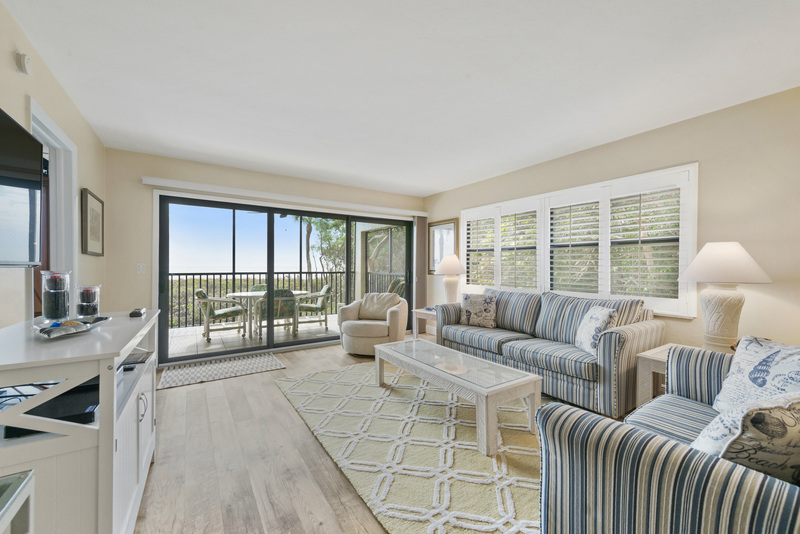 At Tarpon Beach #303, you will enjoy Gulf views and breezes from your private lanai overlooking the shell-strewn beaches of Sanibel Island. 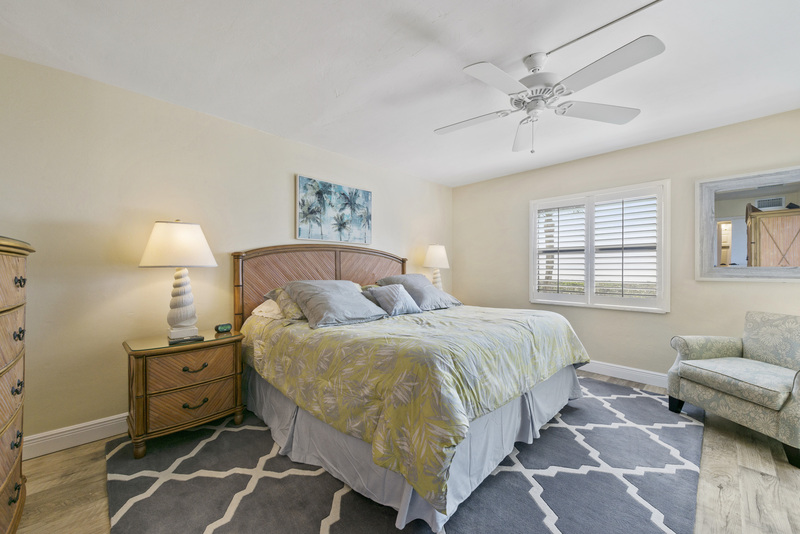 This roomy corner unit was recently updated with solid surface flooring throughout, plantation shutters, new bedding, and decor. 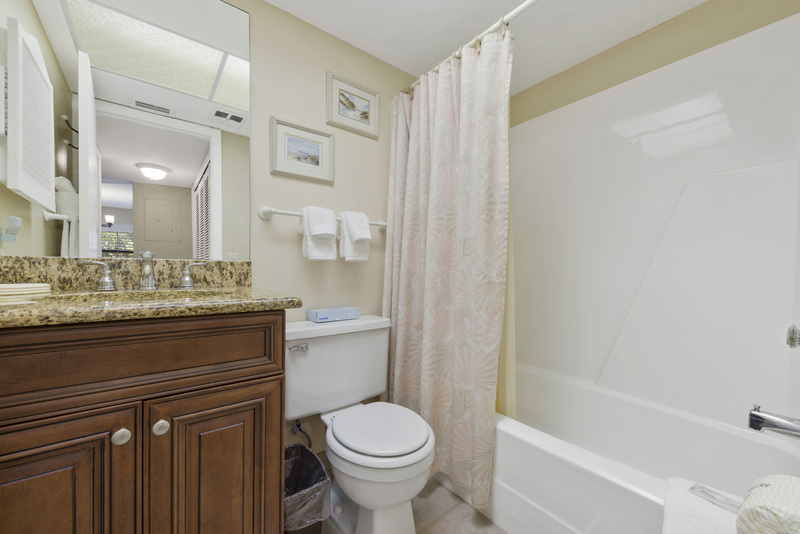 Unit #303 offers 2 bedrooms and 2 bathrooms and can comfortably accommodate up to 6 guests. 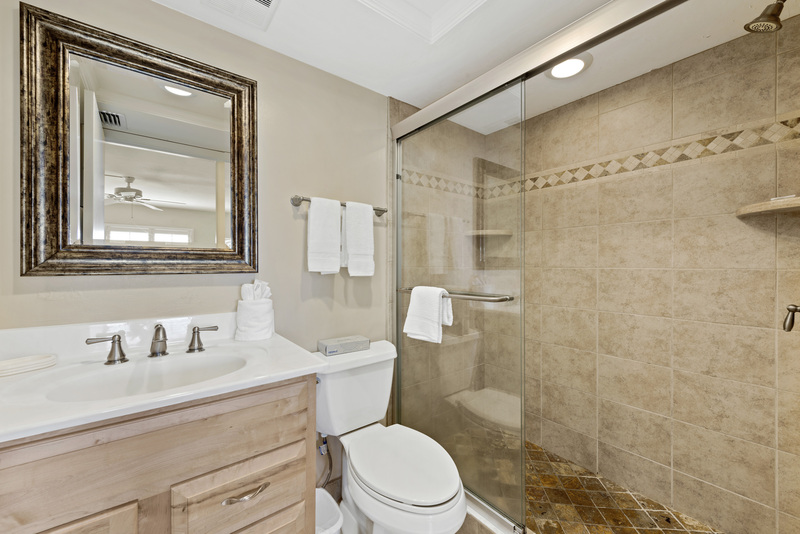 Many extras are provided to make your stay enjoyable including: premium cable with Starz and Encore movie channels, 3 flat screen TV's, DVD players and secure Wi-Fi. 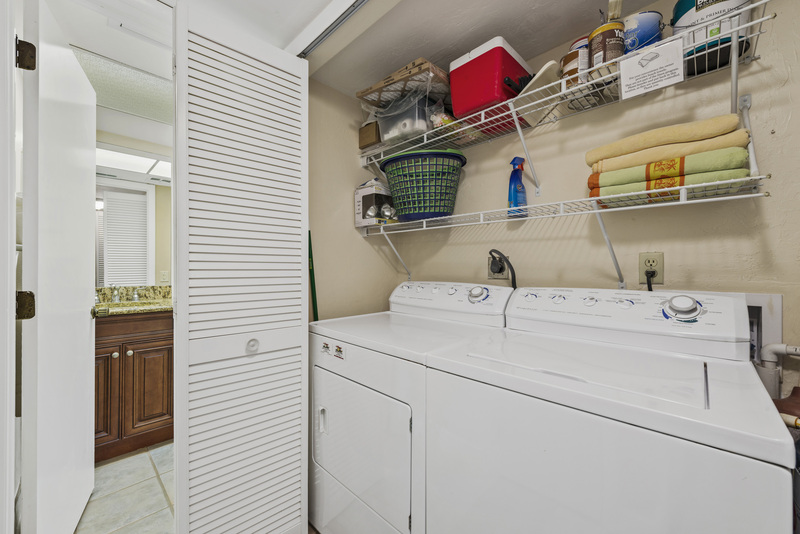 For outdoor fun, 2 bikes and beach equipment are provided for your use in the storage locker. 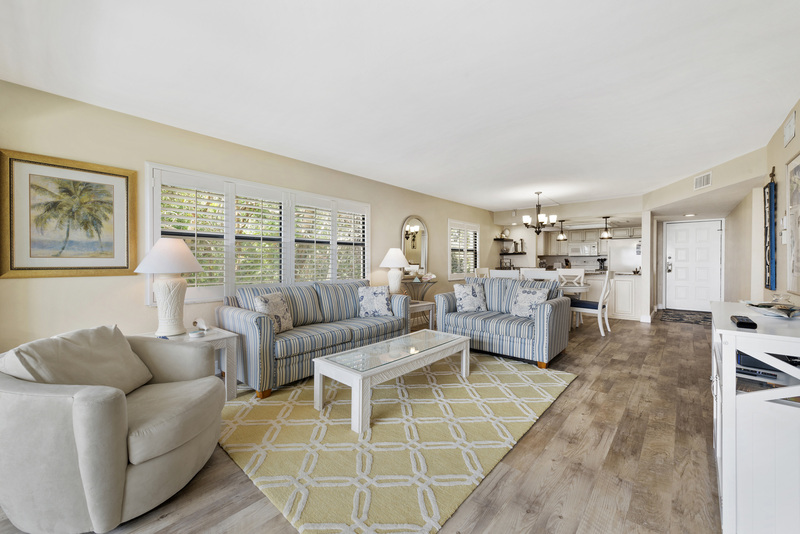 Tarpon Beach is centrally located on Sanibel making it convenient to shops, restaurants and grocery stores. The 30 unit complex features elevators, a community heated pool, gas grills and a tennis court. This is a smoke-free complex. Property is well maintained and well furnished. Unit had enough in kitchen to be very functional and the storage locker was well stocked with chairs and cooler. Only one negative from the trip was the pool. It was a very busy week at the complex and the pool could have used more maintenance. We are beach people so it didn’t impact the stay in a meaningful manner. 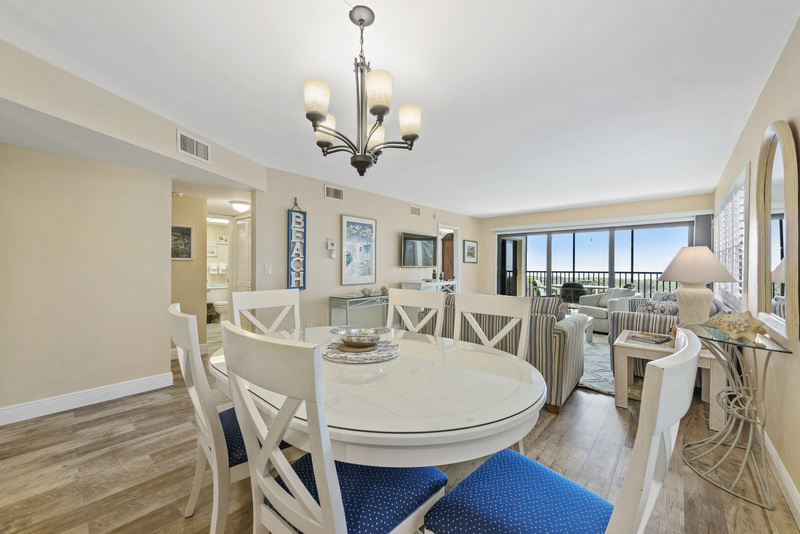 Condo was beautifully decorated and exceptionally clean! 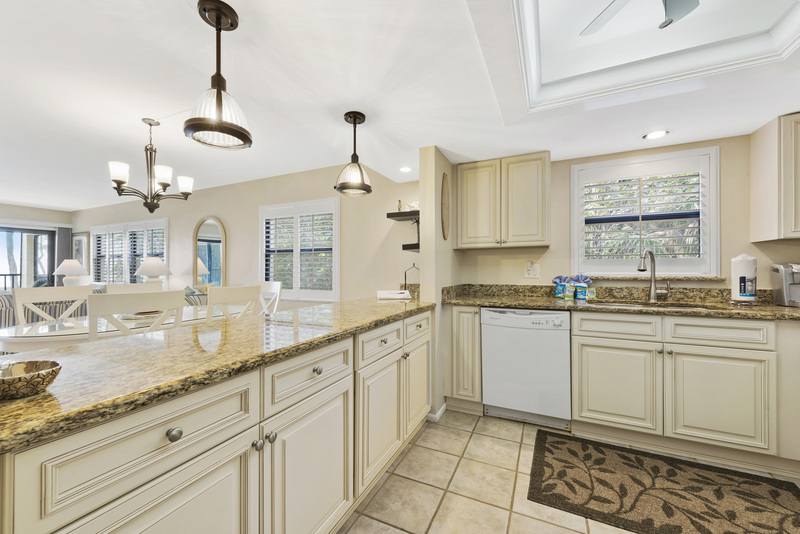 We love the mid-island location and the spectacular gulf views. We had a wonderful stay at Tarpon Beach! The unit was well cared for and clean. The view was a every day joy. My sister and I had a great week at this condo. It's beautifully furnished and the beds are very comfortable. It was very clean upon check-in. It's on the first floor so it's easy to just walk up one flight of stairs instead of waiting for the elevator. The view was beautiful. We saw rabbits and turtles right outside the condo in the greenery. 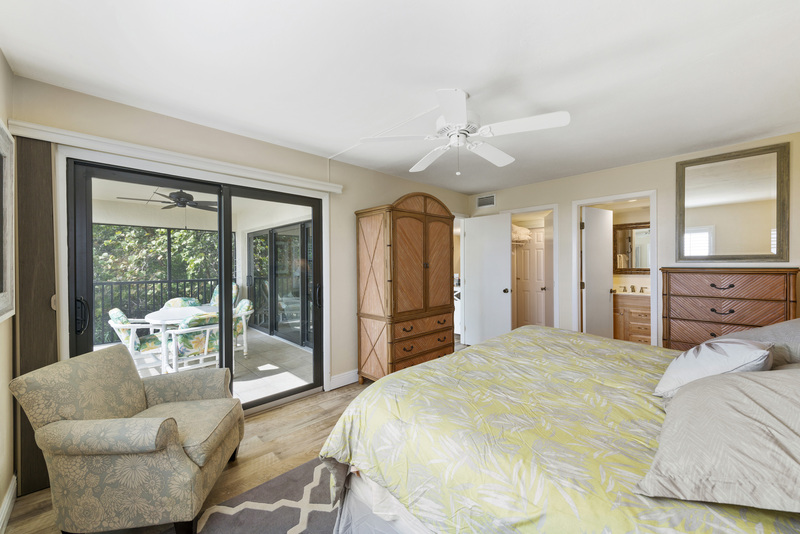 It's an end-unit so you have a broad view from the lanai. The pool is heated and also has a special lift for disabled guests to enter the pool. The complex is located mid-island so everything is relatively close. The Sanibel Holiday team was very helpful. It was an easy booking and a most enjoyable visit. The condo was hot when we arrived but took only a little while to cool down. The kitchen accessories were great! It would have been nice to have ice upon arrival. The condo was very clean and neat. Very enjoyable with top-notch weather and wonderful beaching, biking and birding. 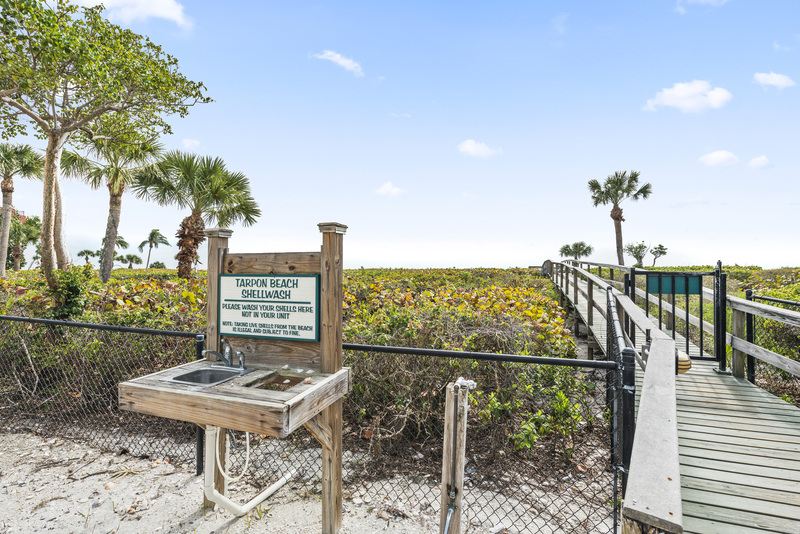 The best location on the Island for beach/Bailey Tract/town access, bar none. Best of Luck to John and all at Sanibel Holiday! Just returned from a week at TB303. we have stayed on Sanibel many times and love this location. 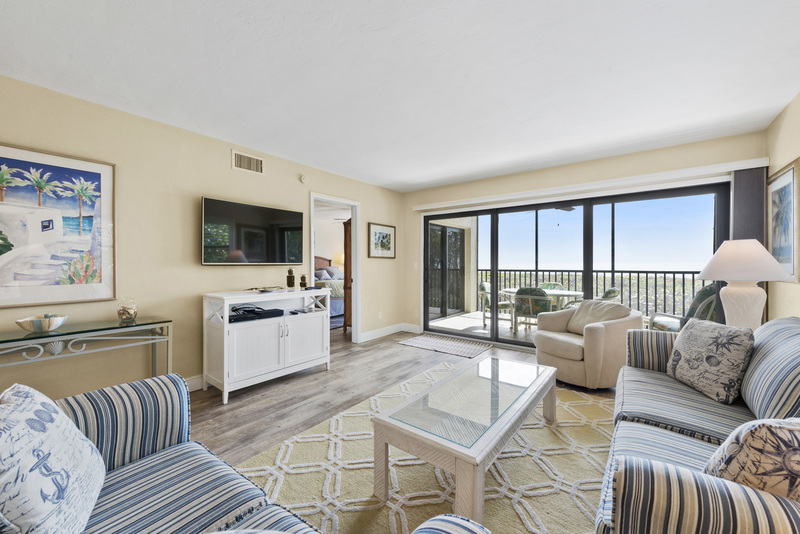 This condo complex is one of very few that have lanais with direct views of the gulf from your unit which allow you to enjoy the sights and sound even when you are not down on the sand. 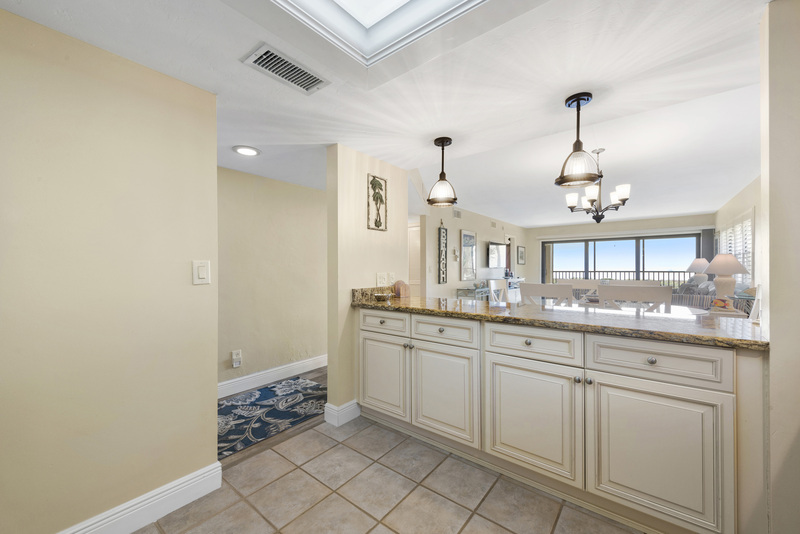 It is great for young kids because the water is relatively shallow and easy for them to go out in, wonderful shelling (which is a great excuse for a walk on the beach) and the heated pool is a perfect spot. 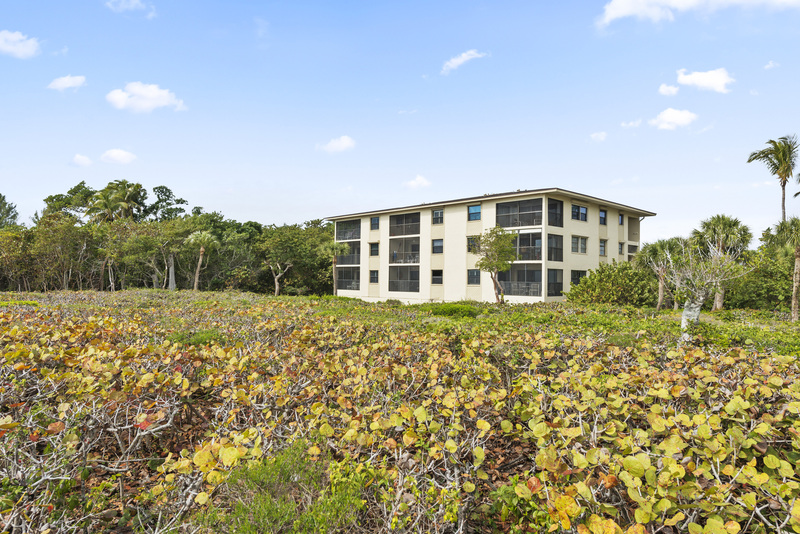 The quick access to town, great restaurants or road to Captiva; as well as many bike trails through the preserves and quiet areas on the island give you plenty to do. 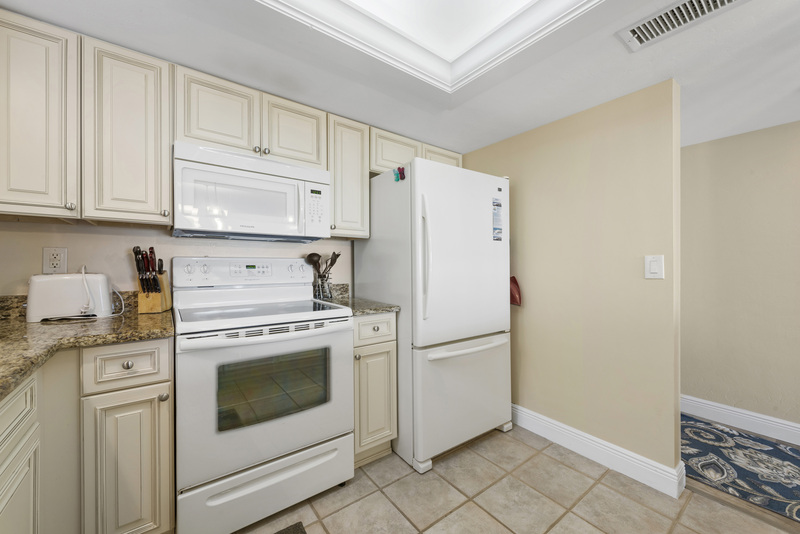 Unit 303 was in excellent condition with updated kitchen, granite counters and tiled master bath. They also had beach chairs, towels and bikes for our use which made the experience even better. we loved it! 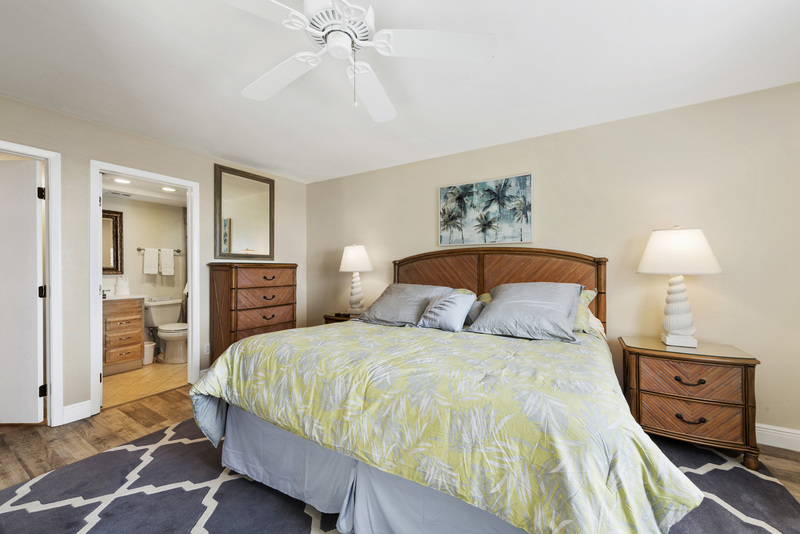 The 2 bedroom condo has a nice master and guest bedrooms, two full bathrooms, kitchen, tv in living room and tv in bedrooms. The porch area is screened off with a table with 4 chairs and lounge. Nice place to stay without a view of the beach. Great vacation. 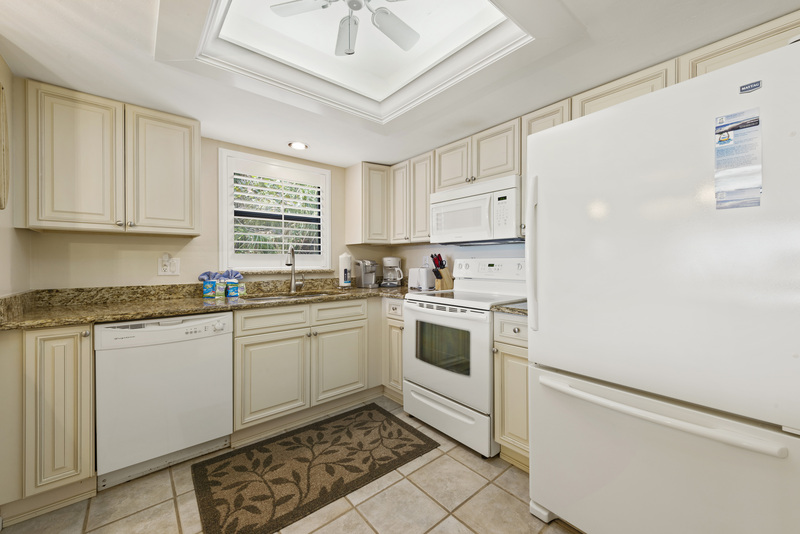 condo was very clean and kitchen was equipped with everything you could possibly need. Large pool and came with beach chairs, even bikes.